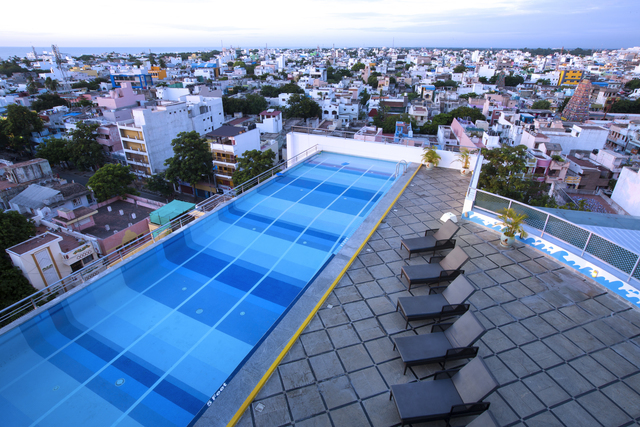 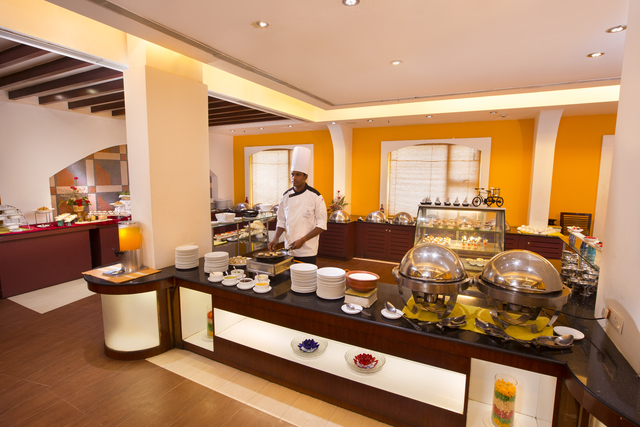 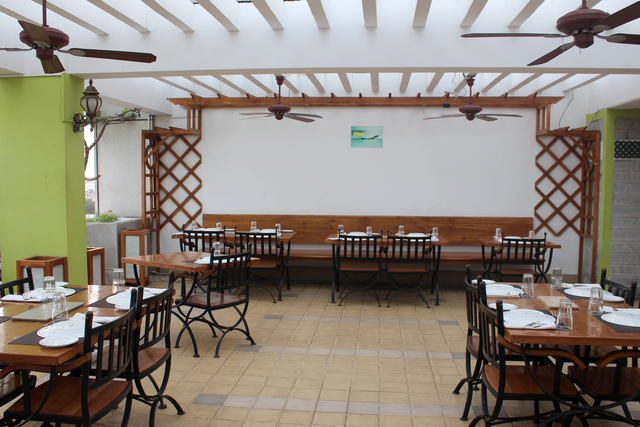 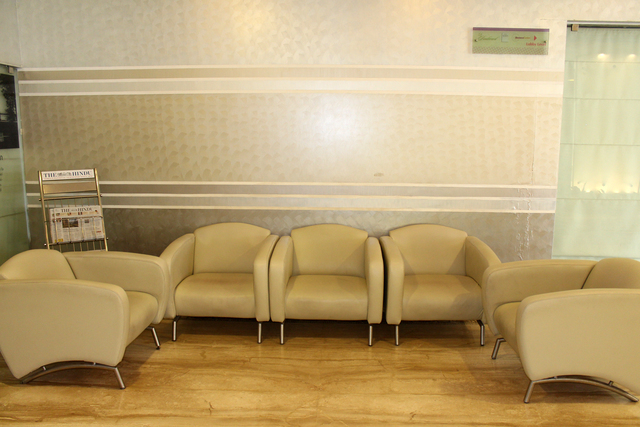 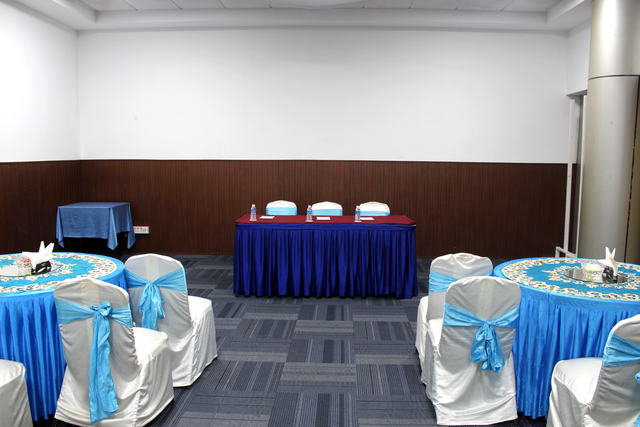 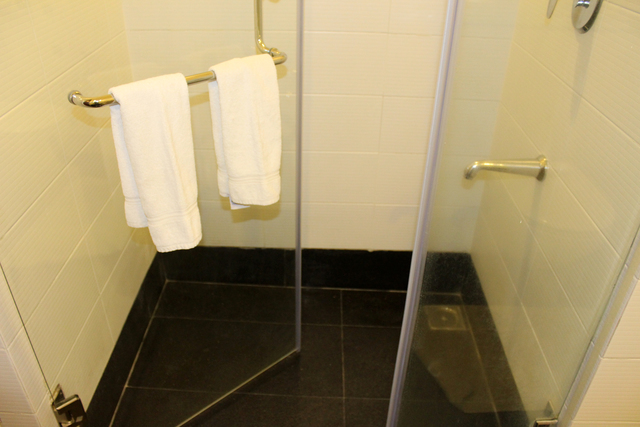 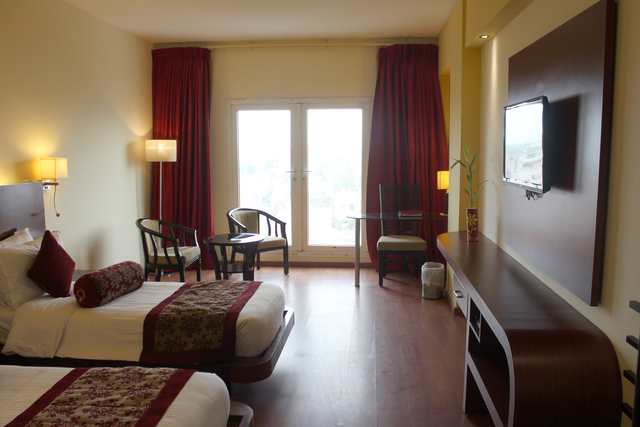 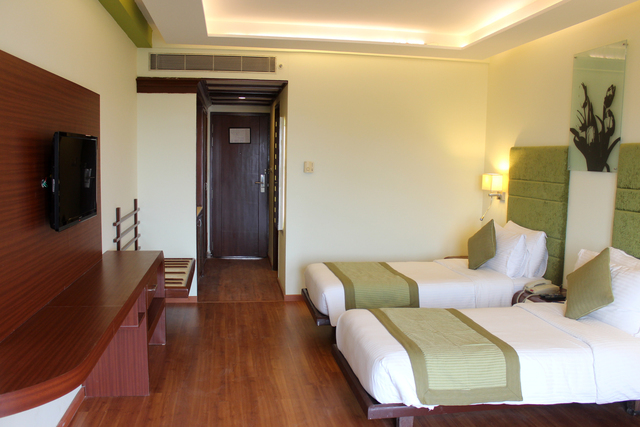 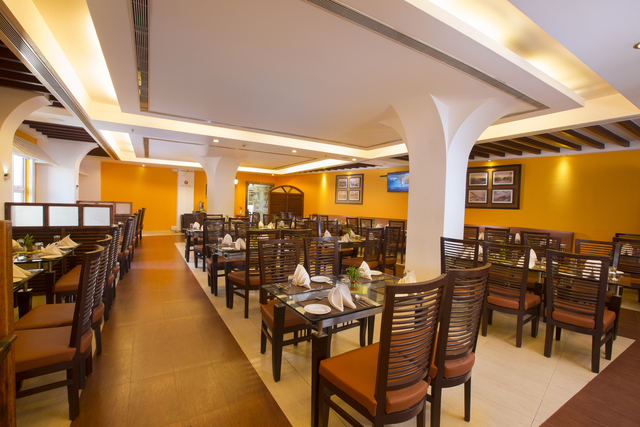 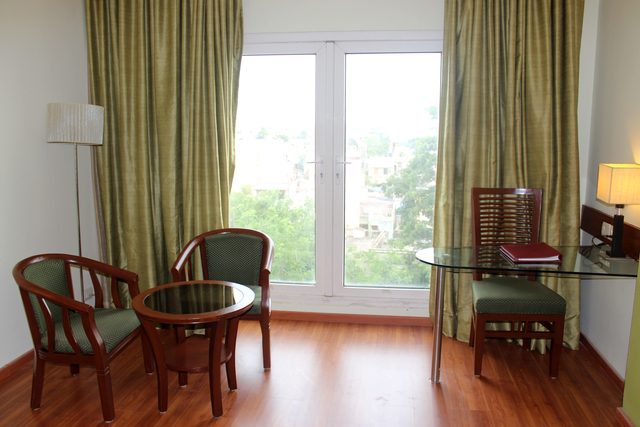 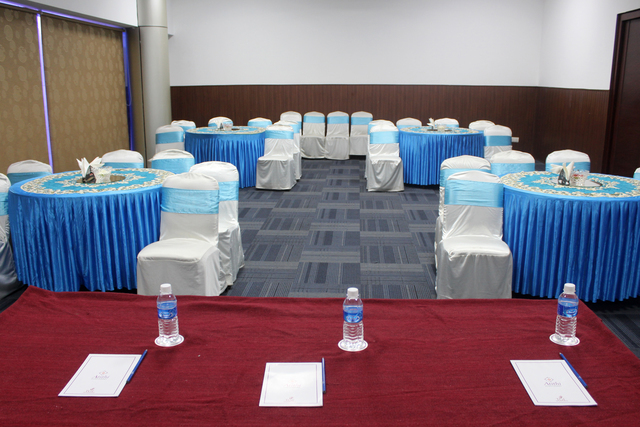 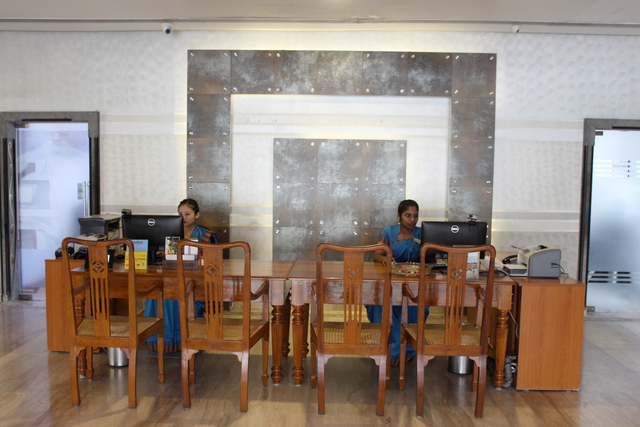 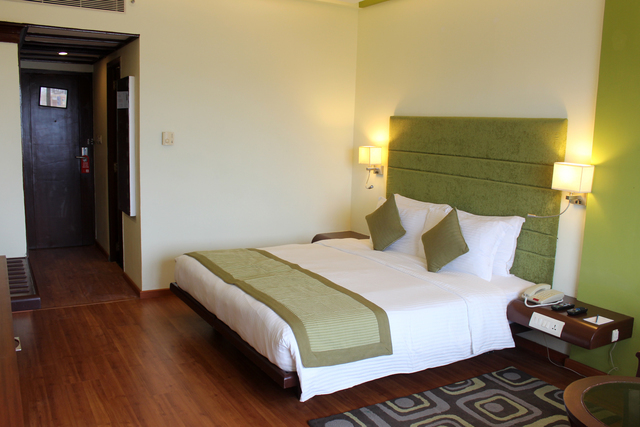 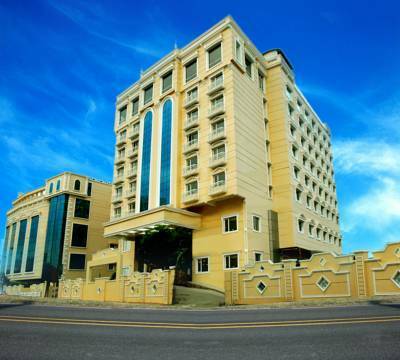 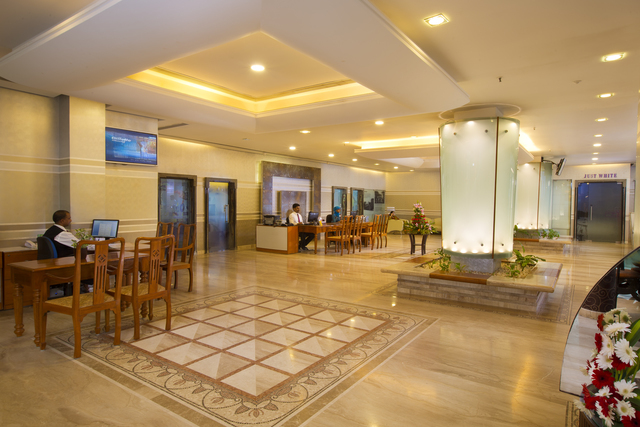 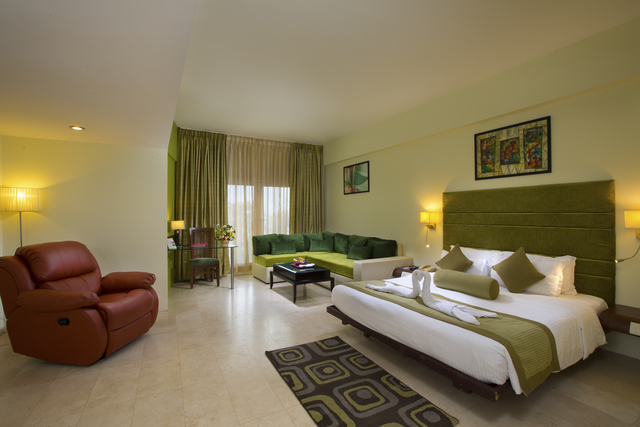 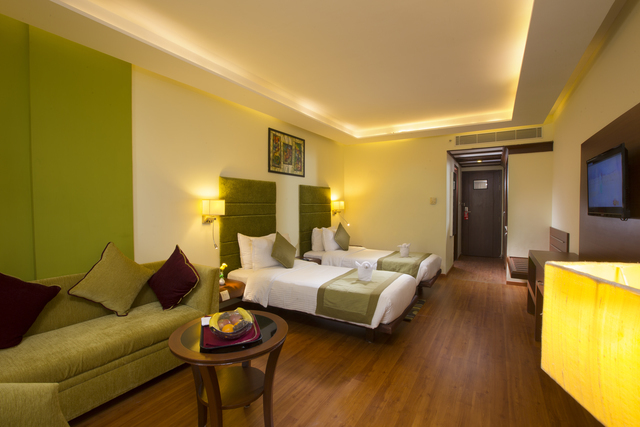 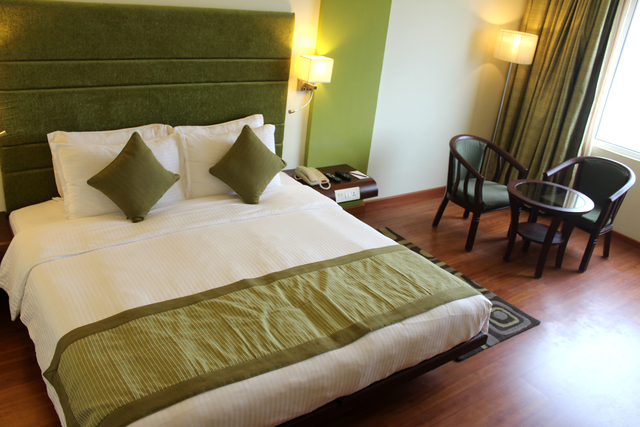 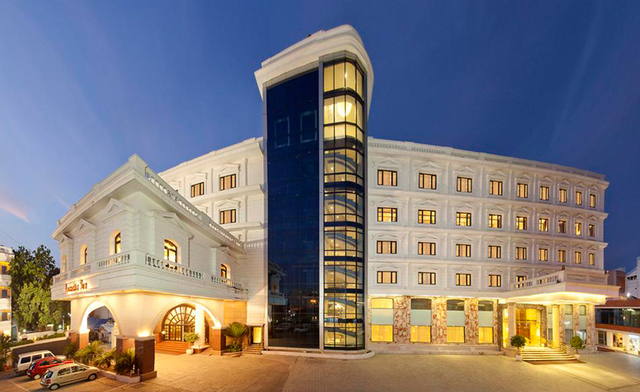 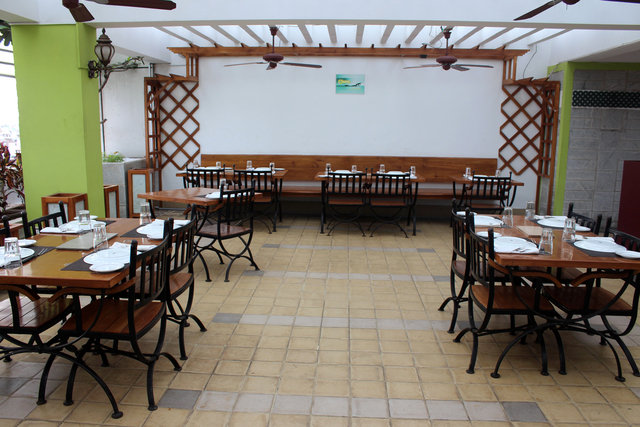 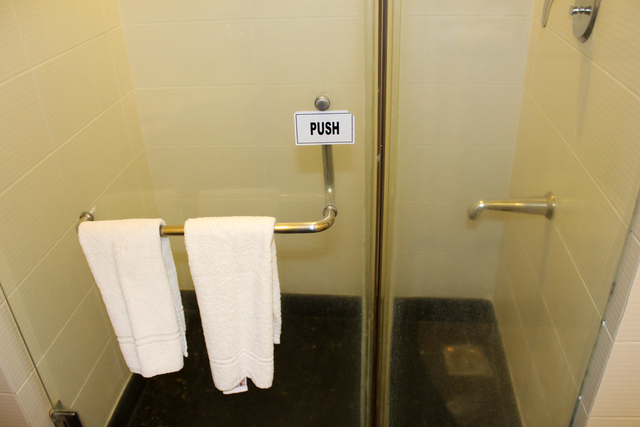 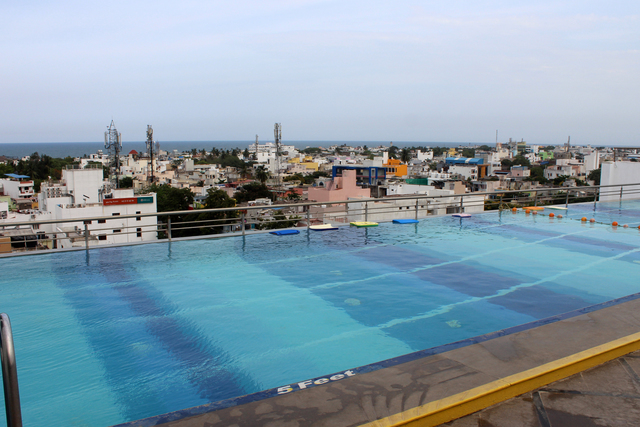 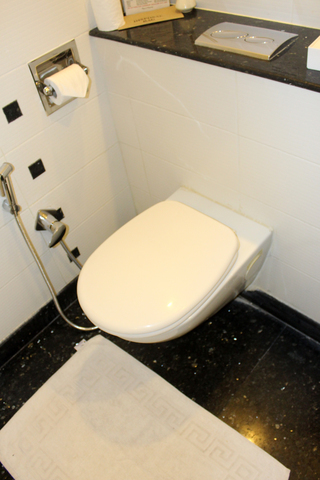 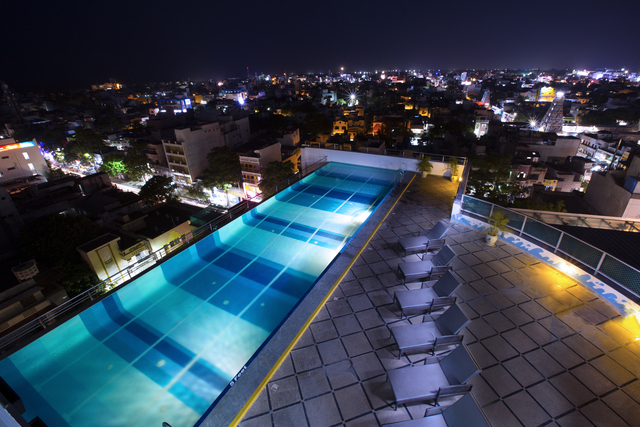 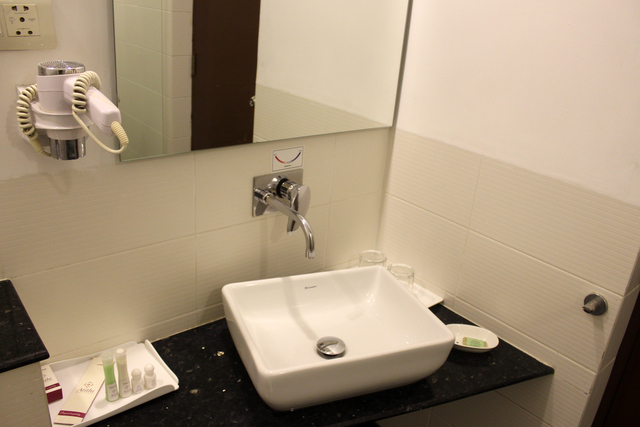 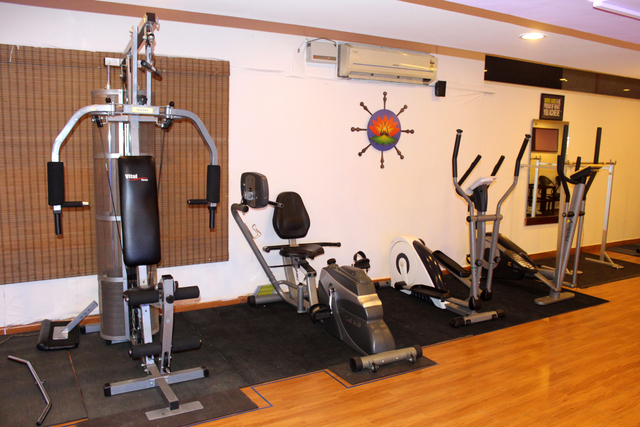 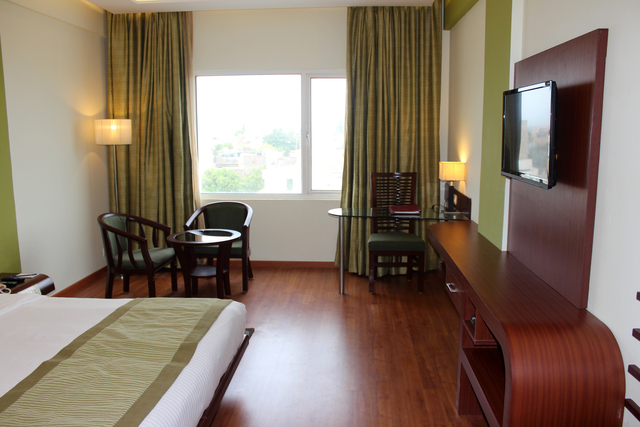 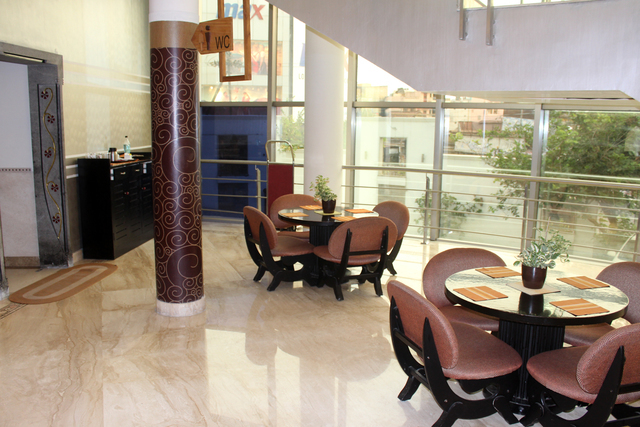 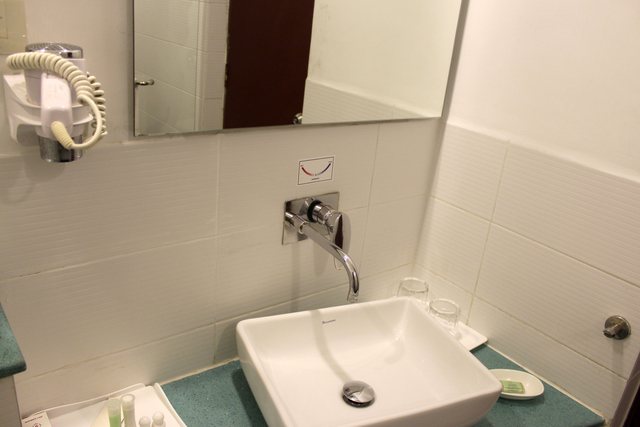 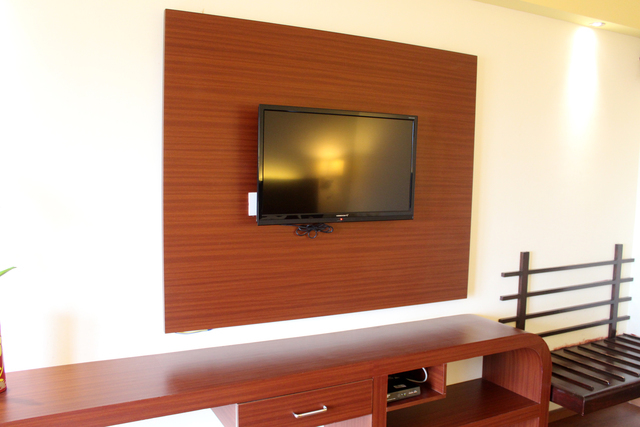 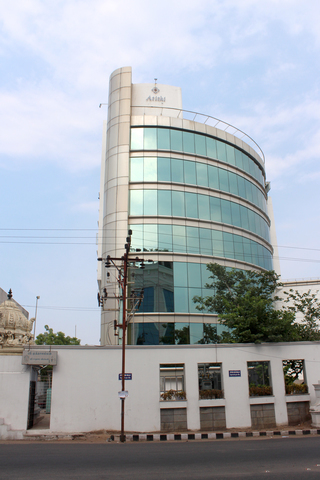 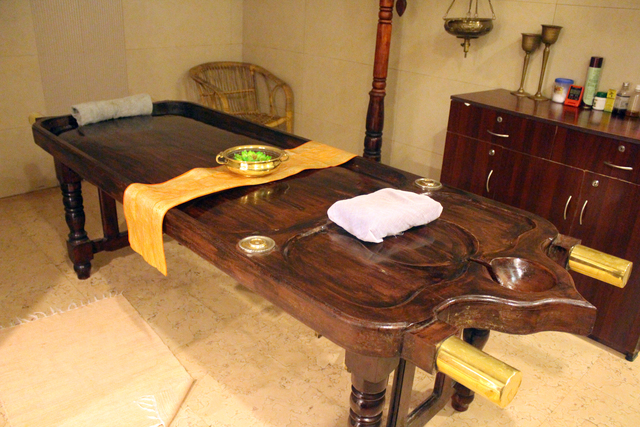 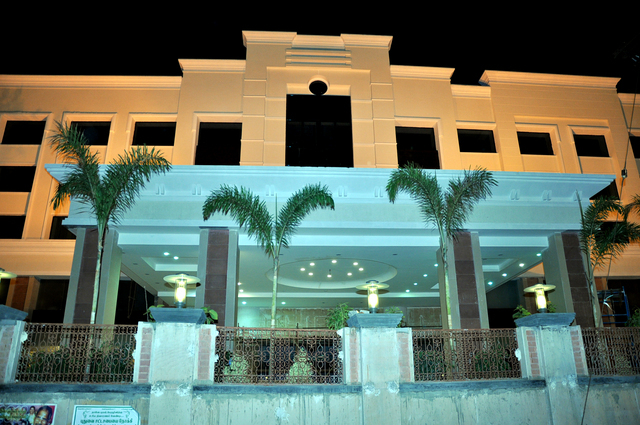 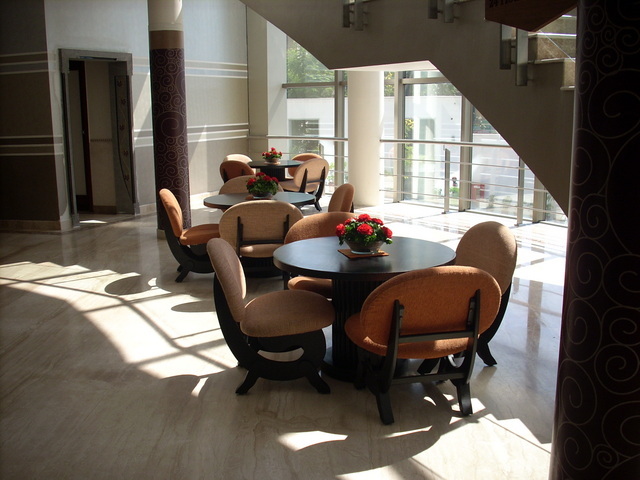 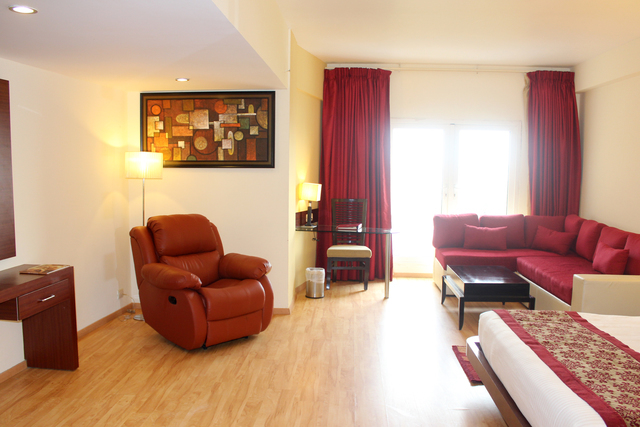 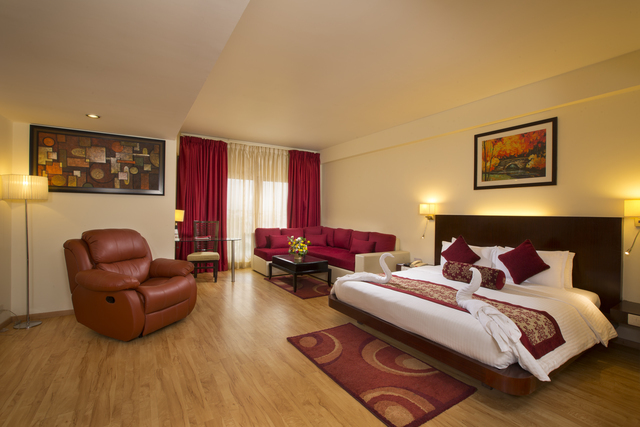 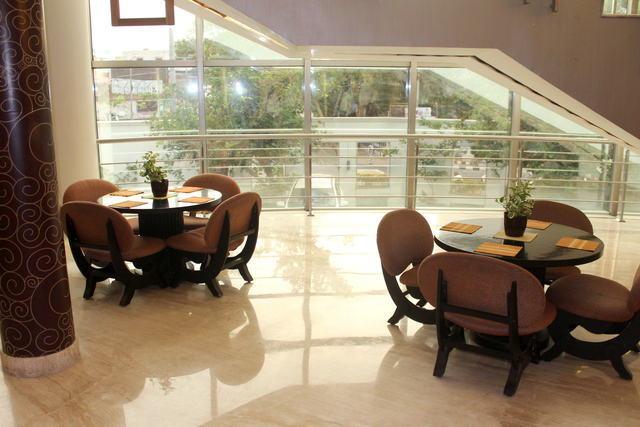 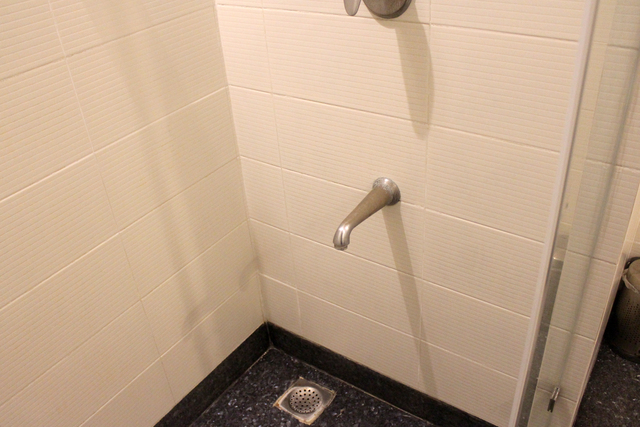 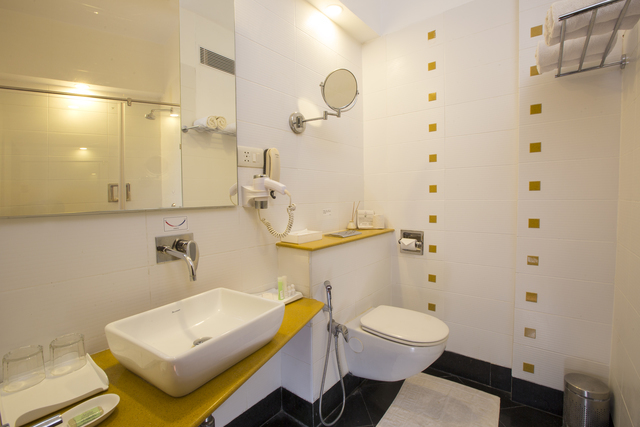 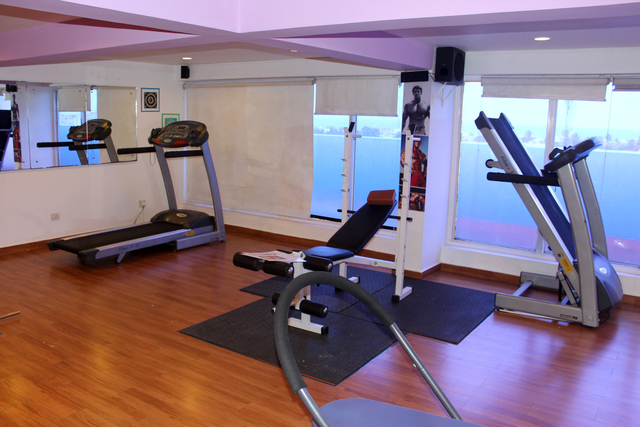 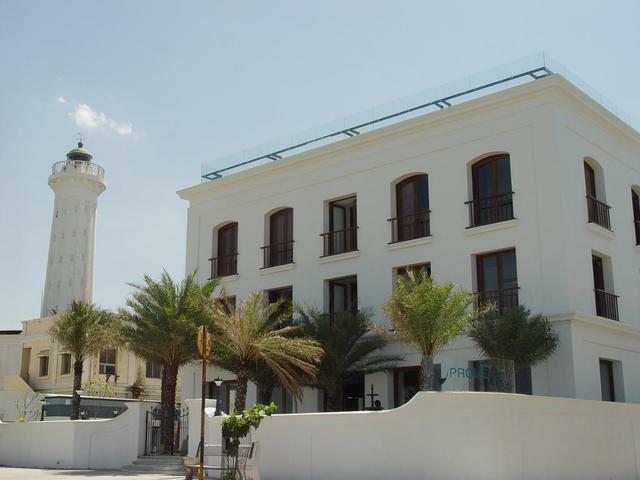 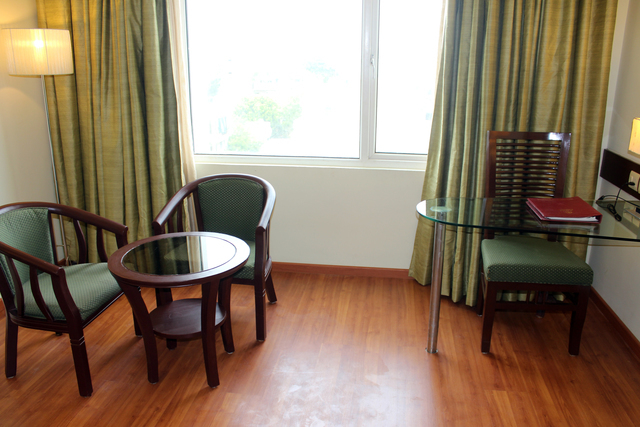 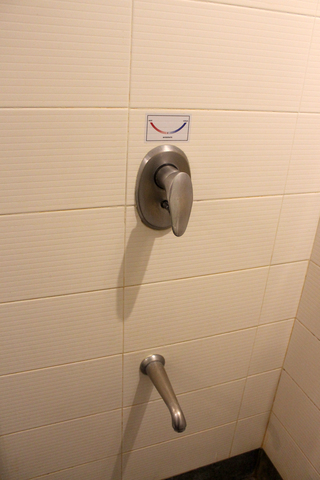 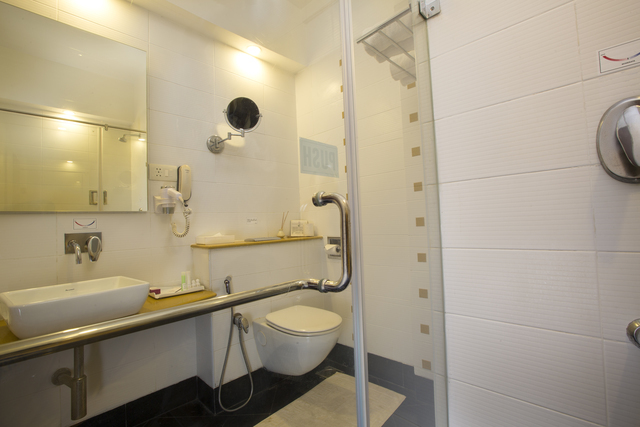 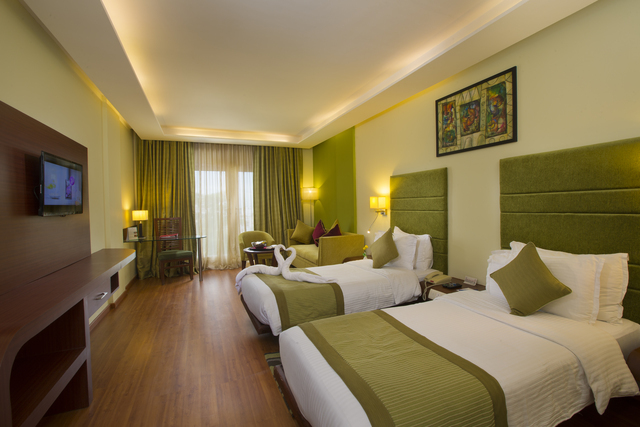 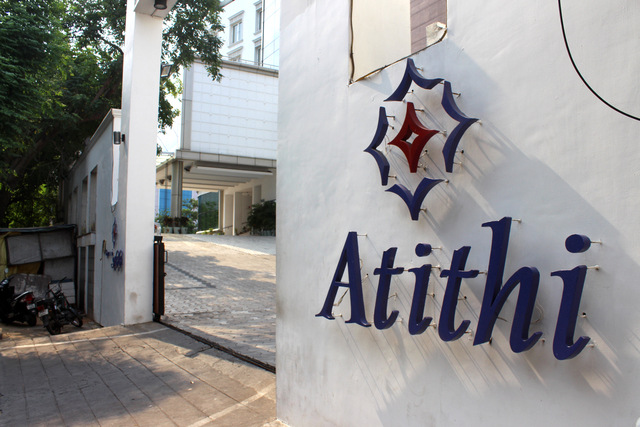 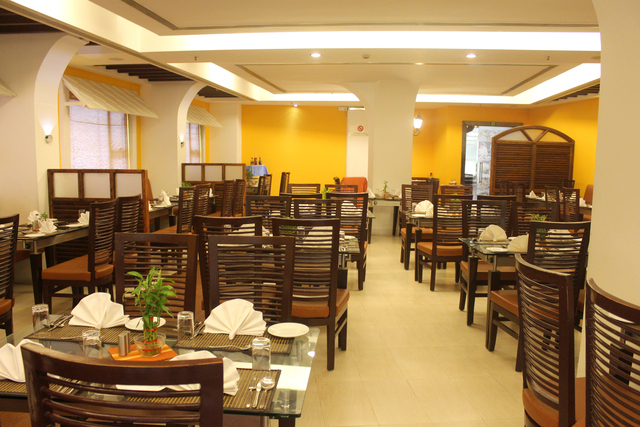 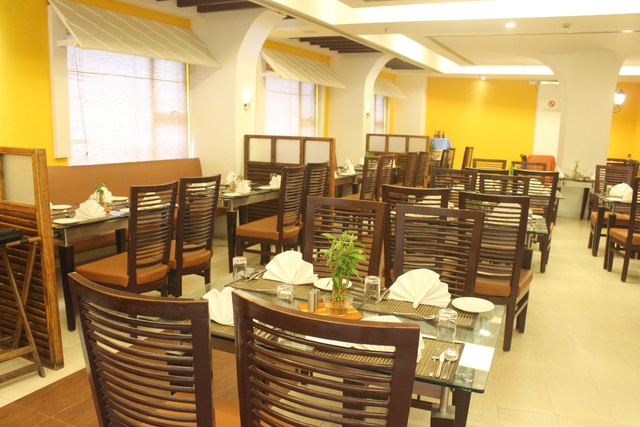 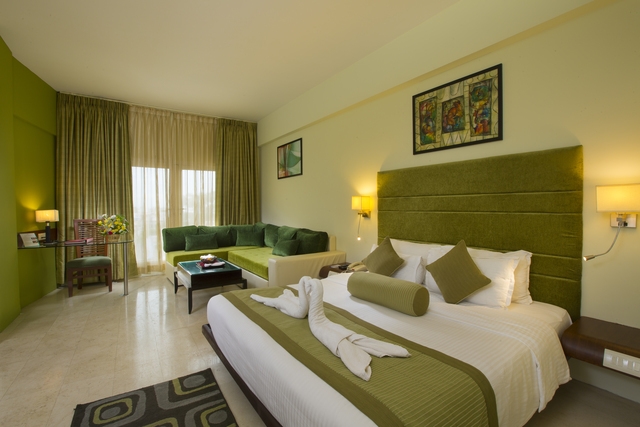 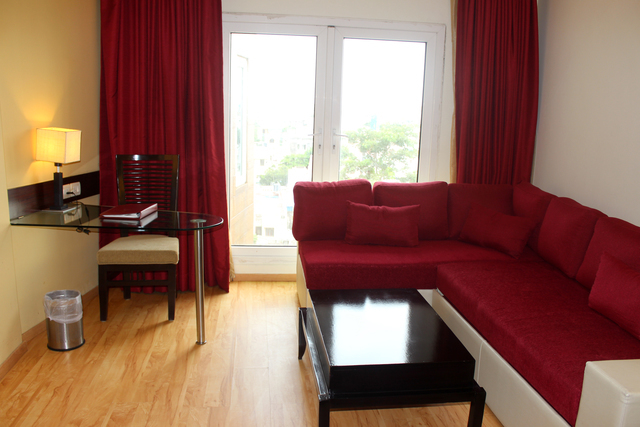 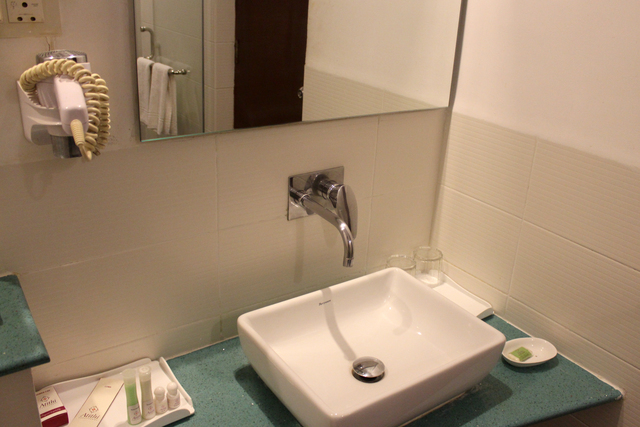 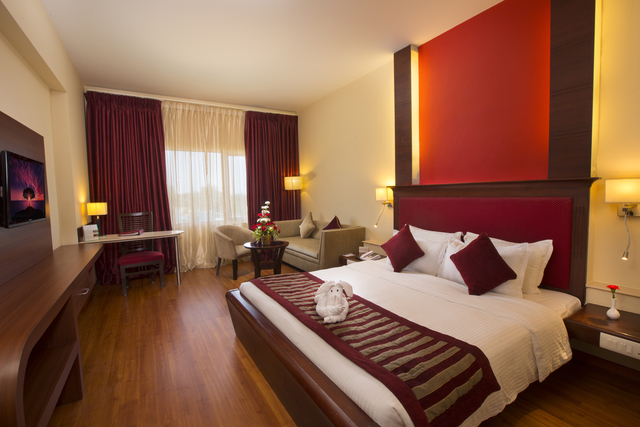 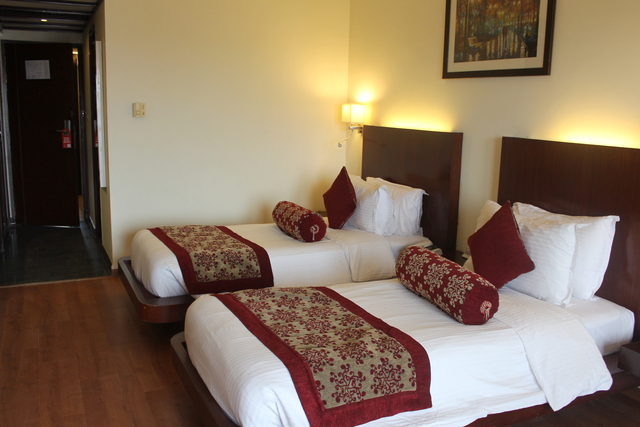 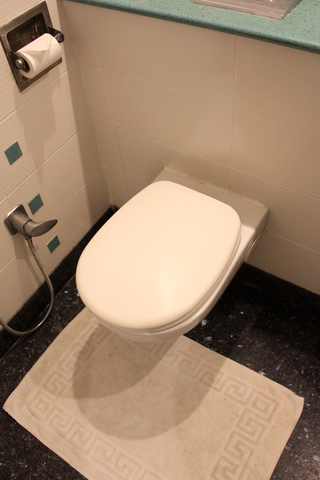 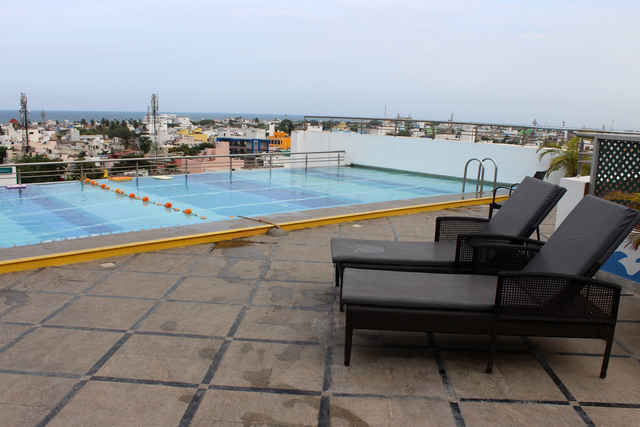 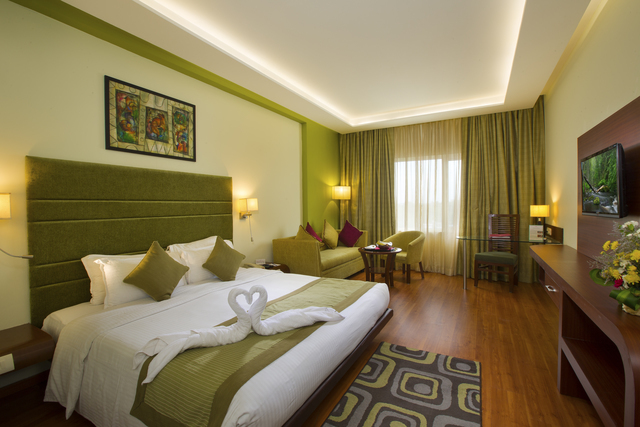 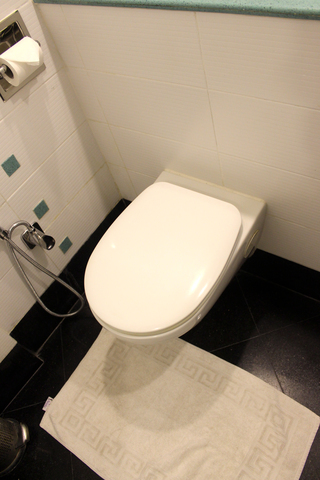 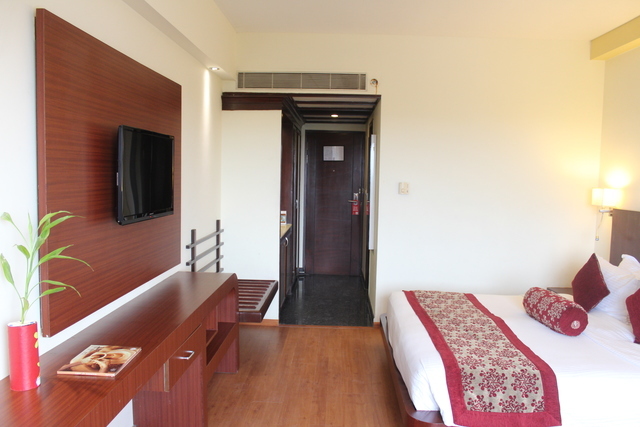 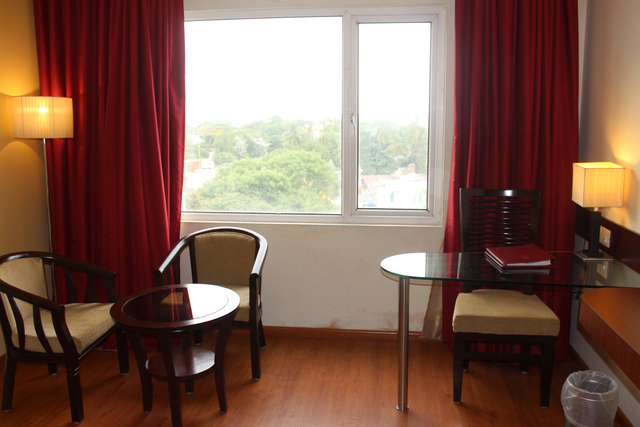 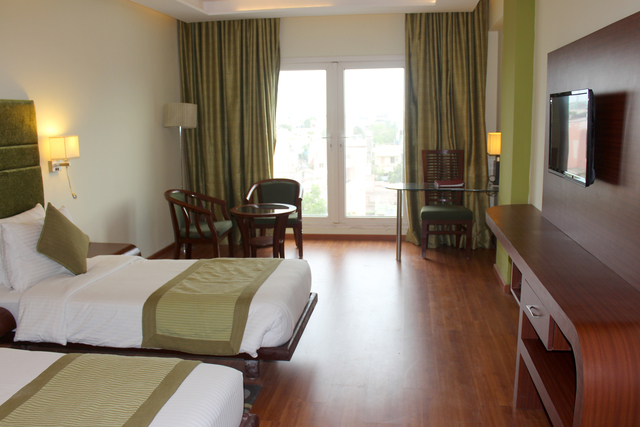 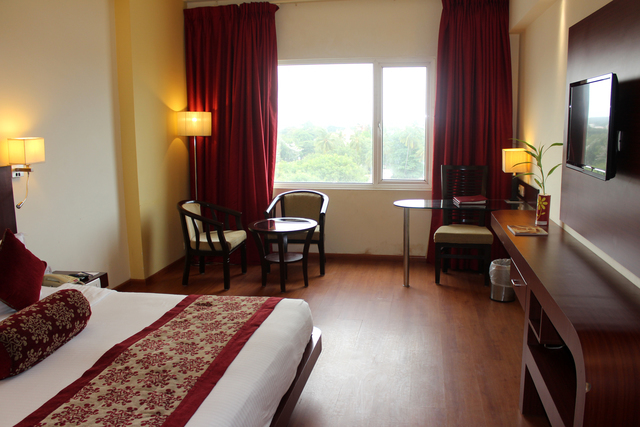 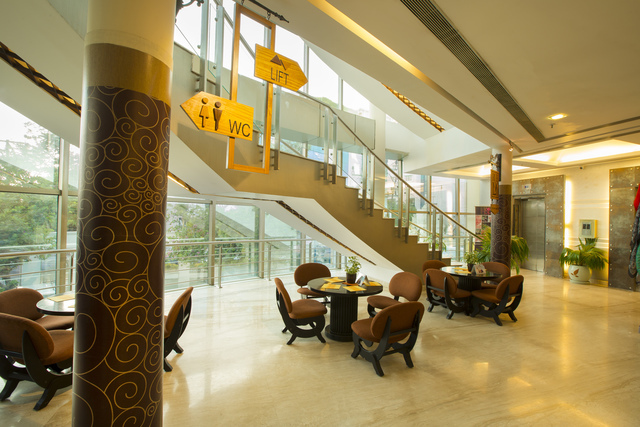 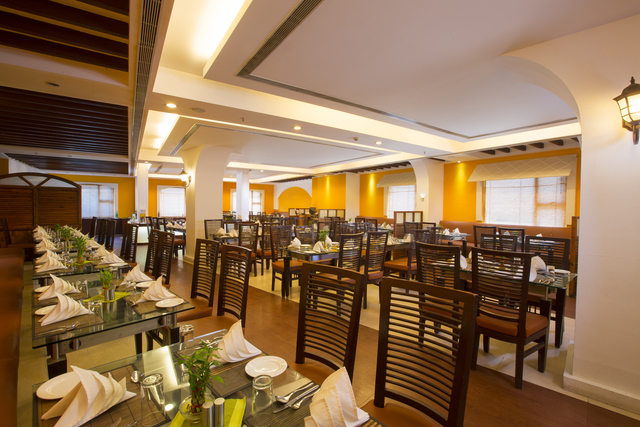 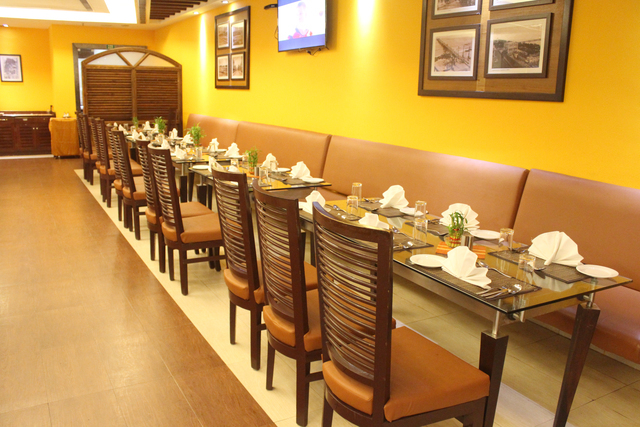 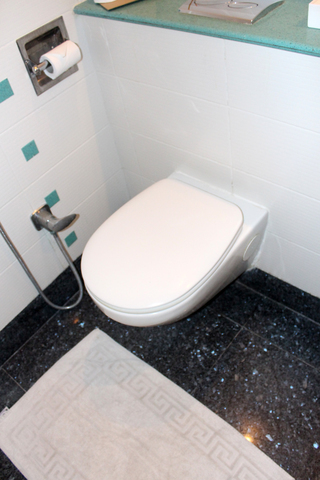 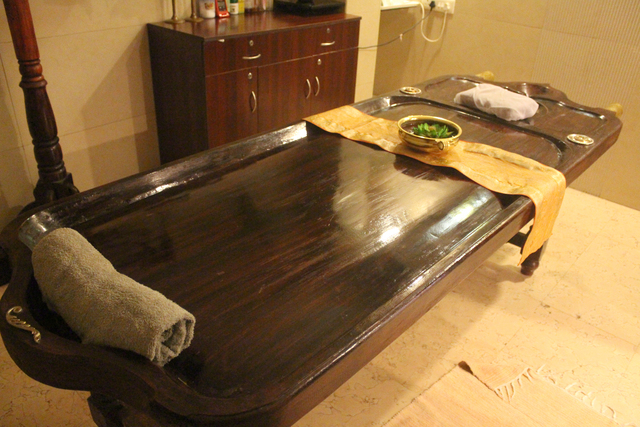 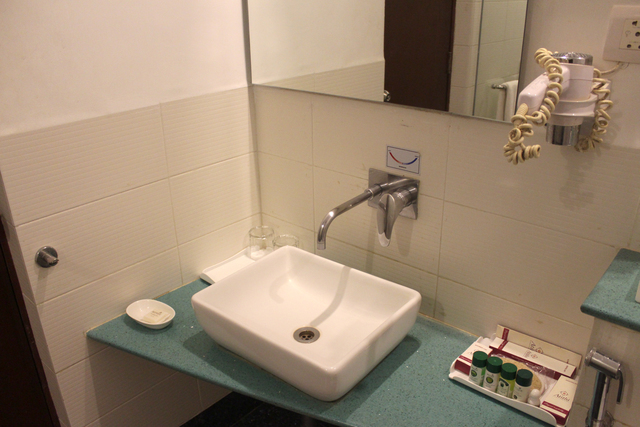 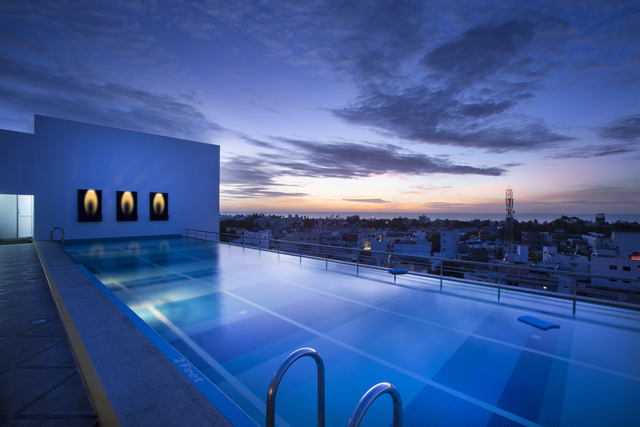 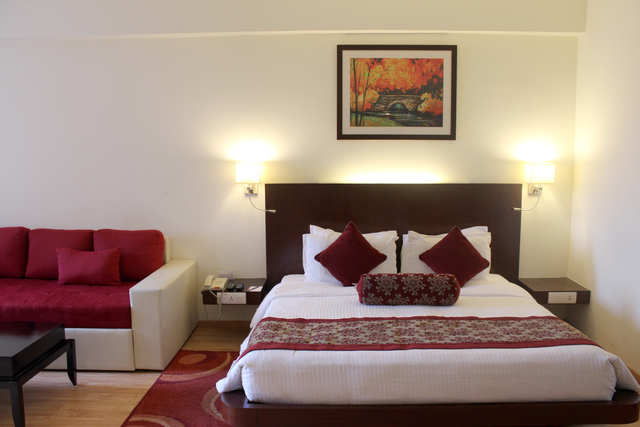 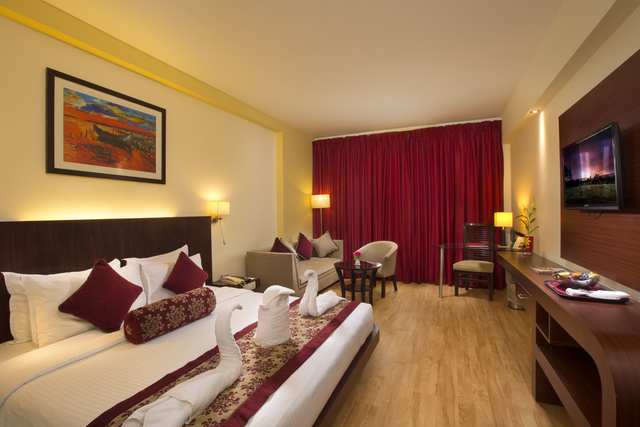 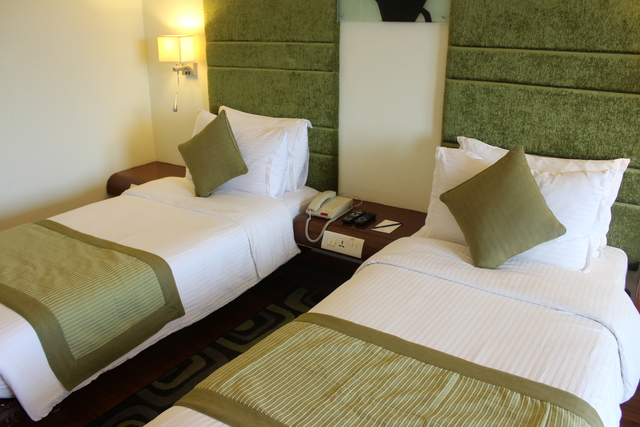 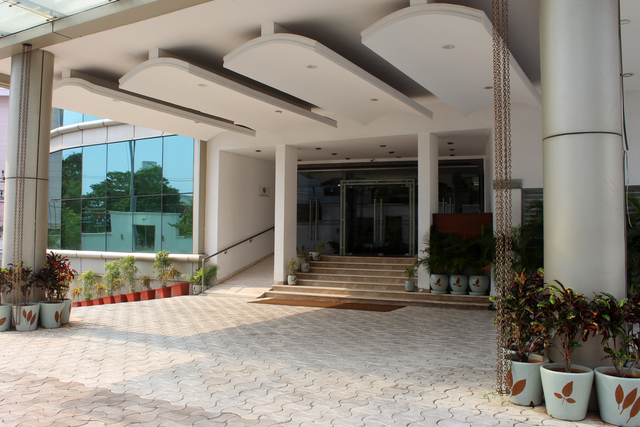 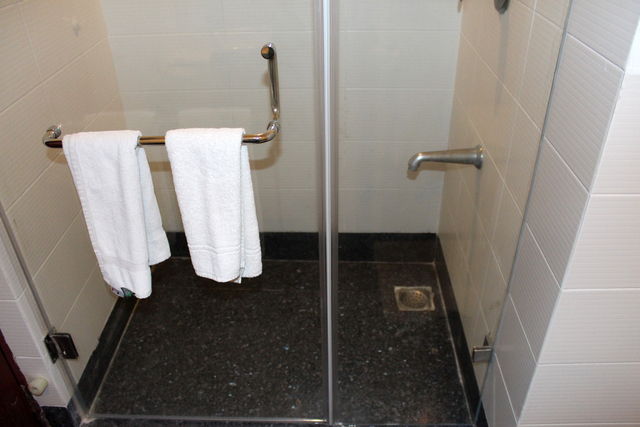 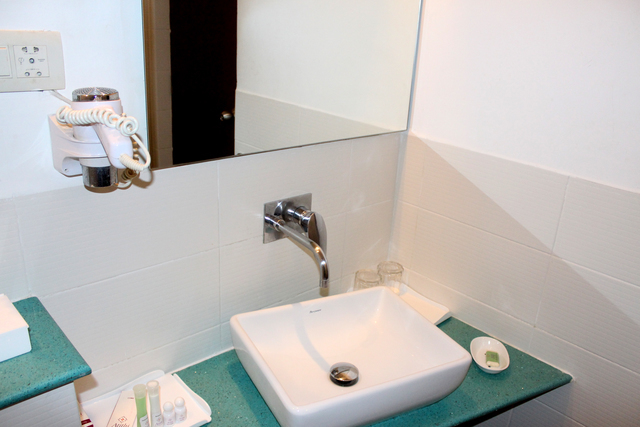 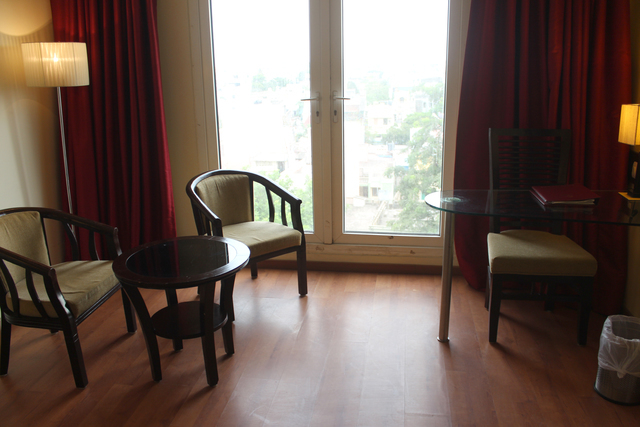 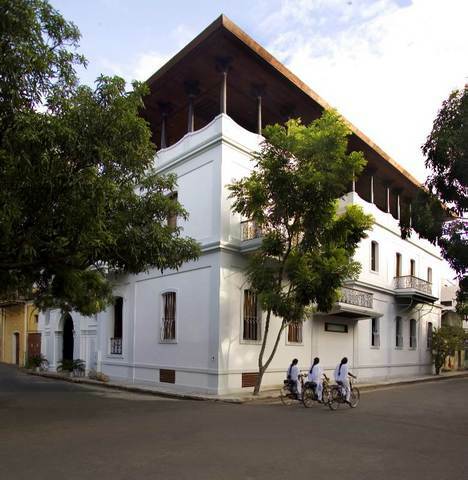 Hotel Atithi, Pondicherry is a good choice for guests who wish to experience luxury and comfort. 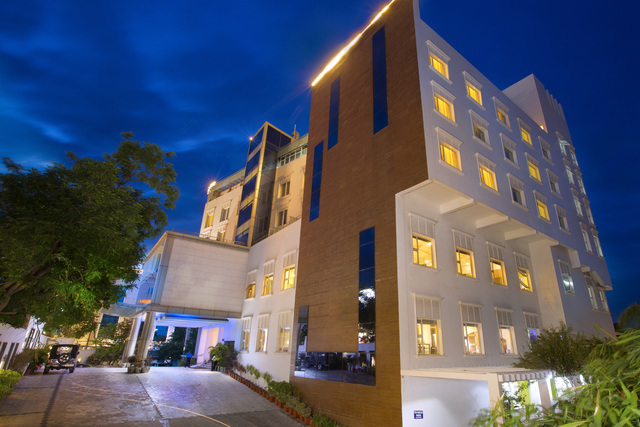 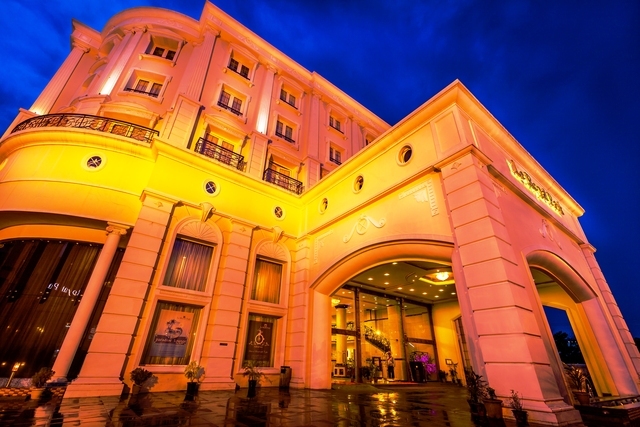 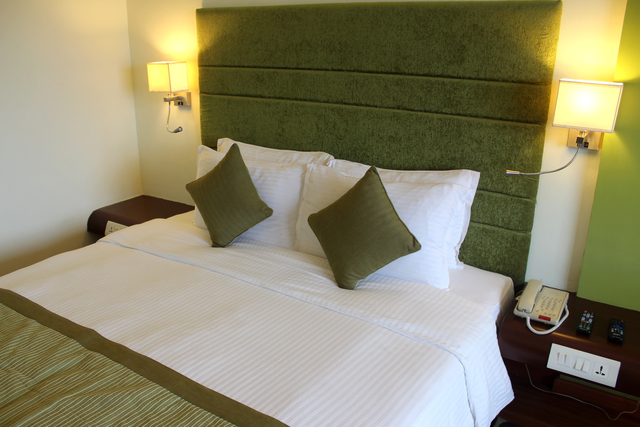 The plush hotel houses 60 spacious rooms, designed in a sophisticated manner to maintain a minimalistic style with modish furniture, attractive lighting and modern amenities. 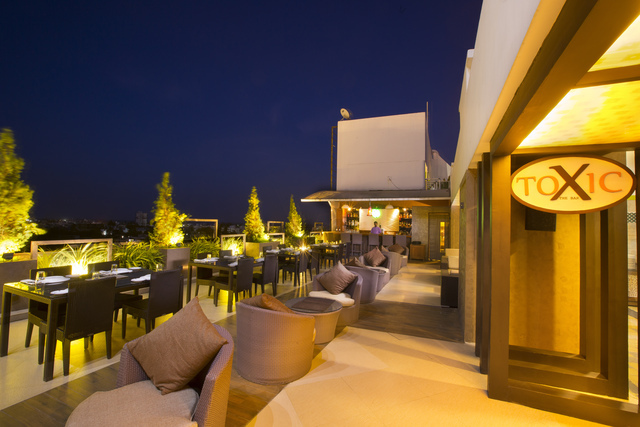 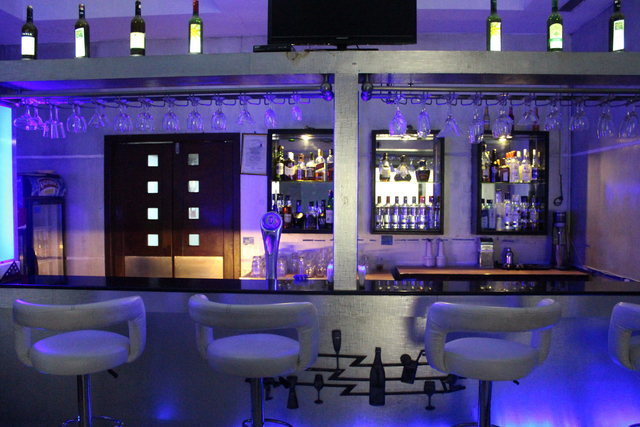 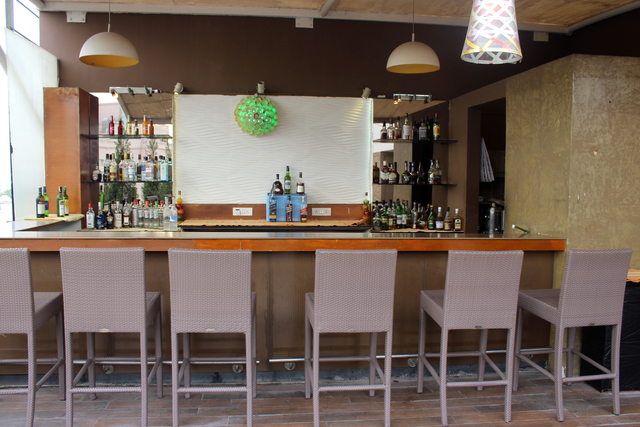 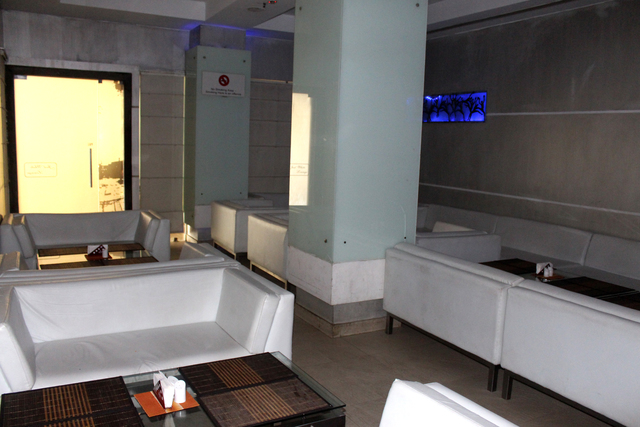 An in-house coffeeshop Rue 126 serves yummy burgers, snack as well as hot and cold beverages, the Toxic Rooftop Bar with a swanky setting serves sybaritic drinks and delightful dishes for a perfect evening under the stars and the ritzy Just White bar is the place-to-be to chill listening to fun music. 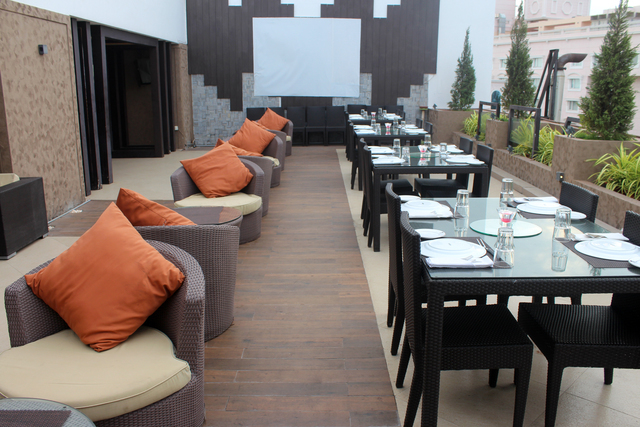 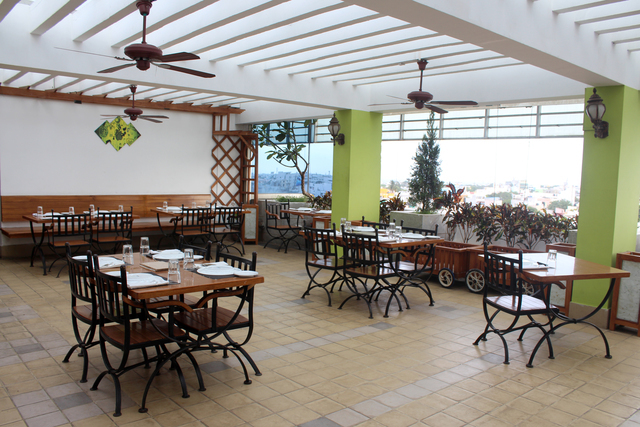 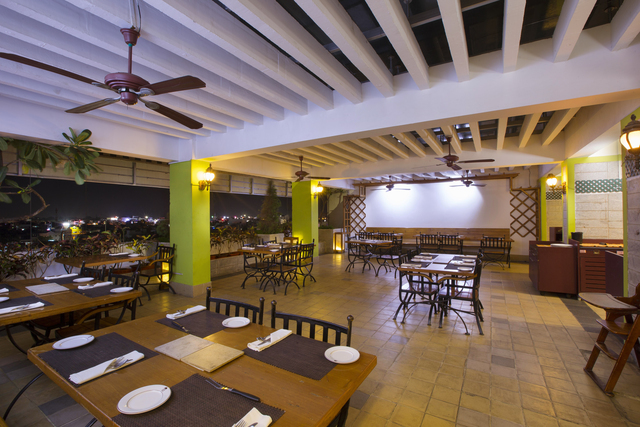 Moreover, The Terrace Grill-Rooftop Barbecue Restaurant offering tasty kebabs and mouth-watering non-veg dishes is an absolute haven for foodies while the Le Boulevard restaurant offers a sophisticated fine dining experience. 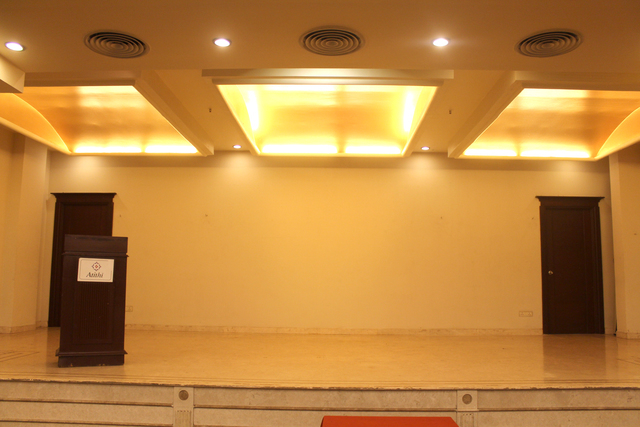 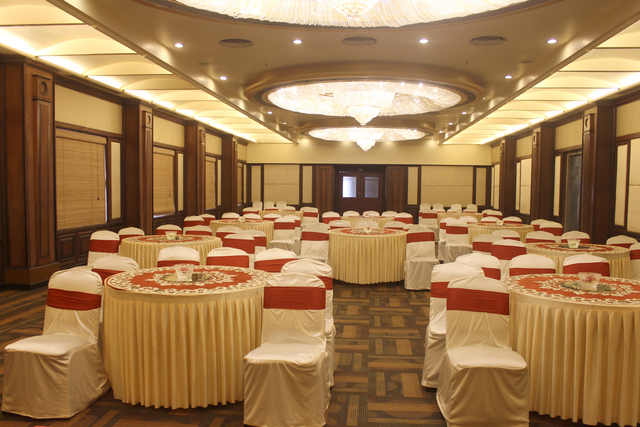 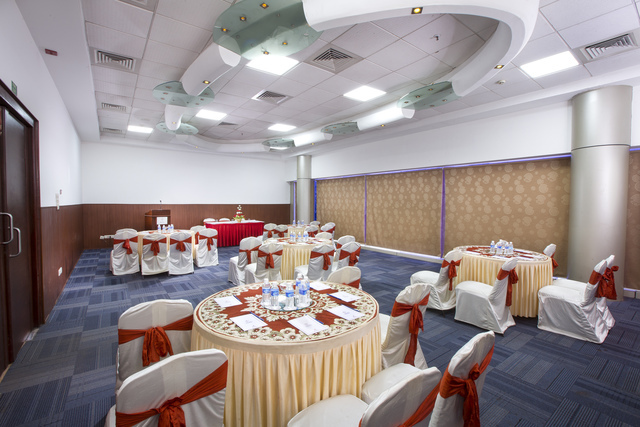 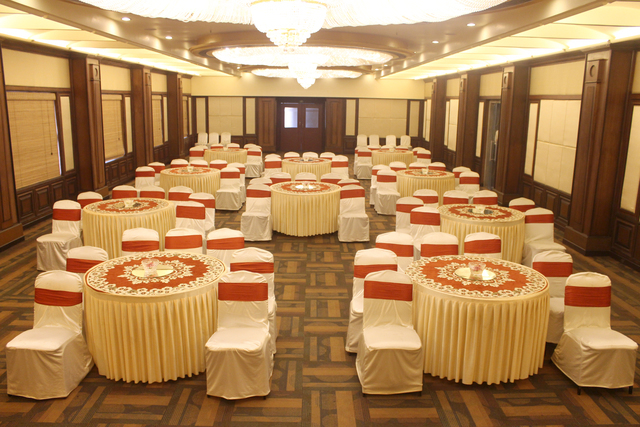 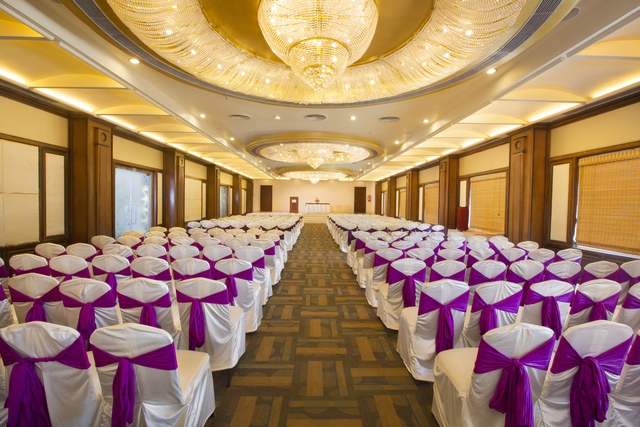 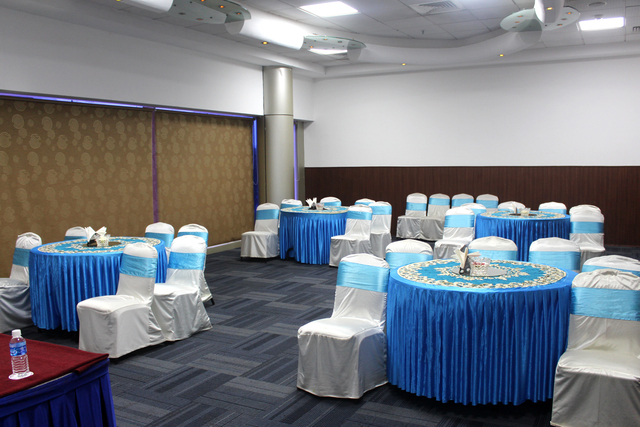 To host lavish weddings, social events and conferences, the opulent Crystal Banquet Hall and the Central Point Banquet Hall are ideal spaces.